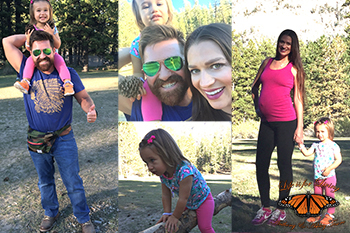 2017-Ashley & Anthony are excited to share with you the all new season of "Life is for Living TV" including their 53rd, 54th, & 55th webisode! This season includes teachings about The Spirit of God & His Presence. Click the webisode number to view! 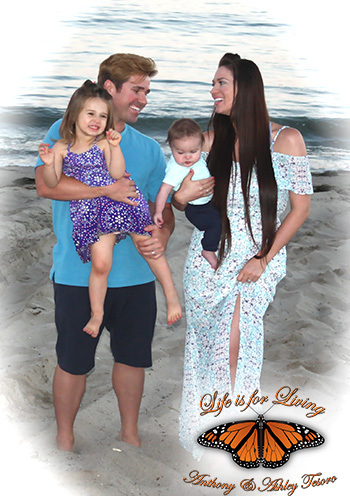 2016- Take a look at the all new webisode of "Life is for Living TV" with a teaching from Anthony about "Love," a beautiful segment featuring the Tesoro Family at the beach; and a singing segment with Ashley featuring "Come Just As You Are." 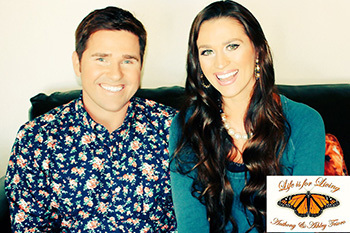 2016- Take a look at the all new webisode of "Life is for Living TV" with a teaching from Anthony about "Hope," a beautiful segment featuring Ashley's sea life photography; and a singing segment featuring "Blessed Assurance." 2016- Take a look at the all new webisode of "Life is for Living TV" with a teaching from Anthony about "Faith," a beautiful segment featuring Ashley's lyrical dance; and a singing segment featuring "I'd Rather Have Jesus." 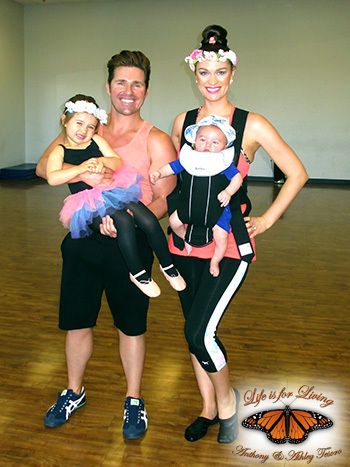 2016- Take a look at the all new webisode of "Life is for Living TV" with a teaching from Anthony about "The Miracles Of Jesus," a beautiful segment featuring Gabriella's ballet dance; and a singing segment with Ashley featuring her "Amazing Grace" music video. 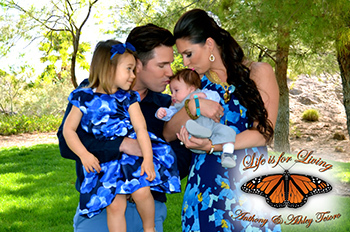 2016- Take a look at the all new webisode of "Life is for Living TV" with a teaching about "The Miracle Of Life," a beautiful segment featuring the Tesoros' Mother's Day 2016; and an all new healthy living segment with Ashley and Gabriella! 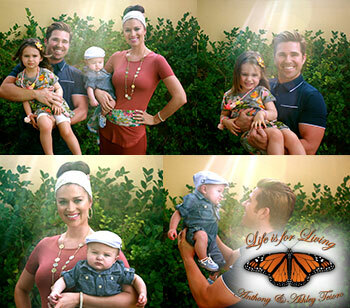 2016- Take a look at the all new webisode of "Life is for Living TV" with a teaching about "God's Miracle Working Power," a beautiful segment featuring the Tesoros' recent family photo shoot; and an all new healthy living segment with Ashley! 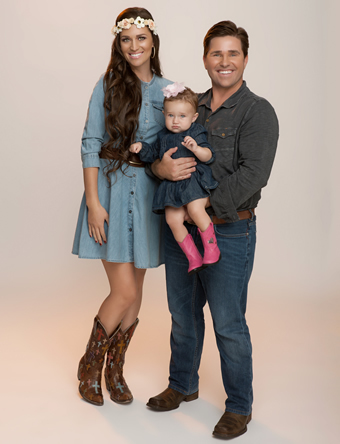 2015- Take a look at the all new webisode of "Life is for Living TV" with a teaching about "Being A Godly Christian," and a beautiful segment featuring the Tesoros' recent family photo shoot! This is part three of a three part series on "Godliness." 2015- Take a look at the all new webisode of "Life is for Living TV" with a teaching about "Godly Marriage," and a beautiful segment featuring Ashley and Anthony's September 30, 2001 wedding! 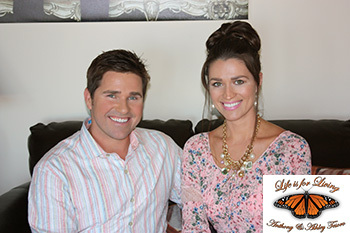 Ashley and Anthony are excited to share with you their new "Life is for Living TV" webisodes. 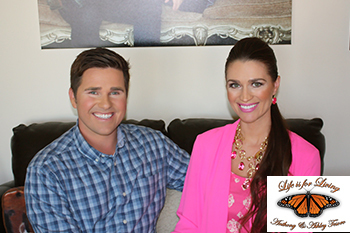 Ashley and Anthony are excited to share with you their March and April 2015 webisodes of "Life is for Living TV." 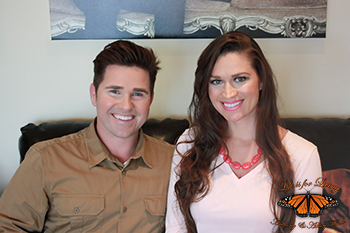 New for 2015 "Life is for Living TV"
Ashley and Anthony are excited to share with you their all new 2015 webisodes of "Life is for Living TV" featuring their all new format, new segments, their new LIFL logo; and new segments featuring teachings out of the Word Of God, "Inspired With Ashley" segments, and health segments as well! Ashley and Anthony will be releasing one webisode per month. This year they will be focusing on teaching about the "Ten Commandments" and what that means for you; and how you can apply these principles to your own life. 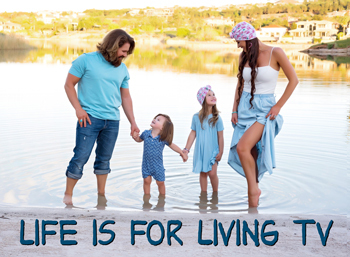 Ashley and Anthony are excited to share with you their all new webisode of "Life is for Living TV" featuring an all new format, new segments, a new LIFL logo; and they have incorporated their daughter Gabriella into the series! They hope you enjoy it! Be inspired... Learn about Love, Life, Joy, & Peace. 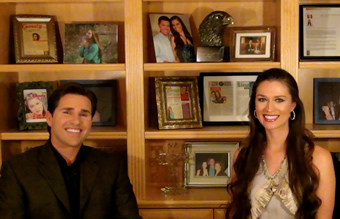 Anthony & Ashley Tesoro will show you how to live life to the full! 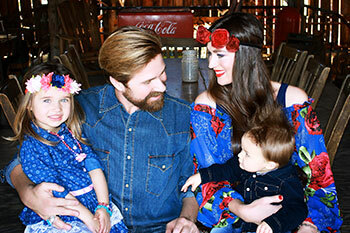 Ashley releases her new country music video for her song "Angel Blue" featuring clips of Ashley, Anthony, and their daughter Gabriella. View Now! 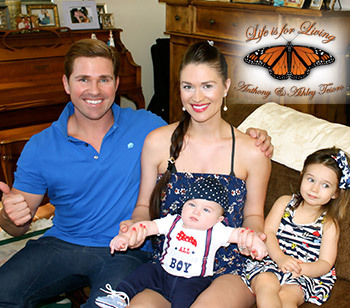 Ashley and Anthony release "Life Is For Living TV" Season 4! "We hope you are enjoying Life Is For Living TV. We created this show to encourage, inspire, and uplift people. To give hope in an uncertain world, and to spread the Gospel of Jesus Christ in a way that all people can receive. Please enjoy our new season!" -Ashley & AnthonyView Now! 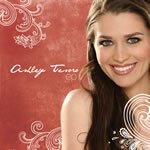 Ashley releases a new modeling video featuring her country song "Sin City Town" from her "Ashley Tesoro EP" album! This video gives you a behind the scenes look at one of her photo shoots at a Los Angeles studio. View Now! 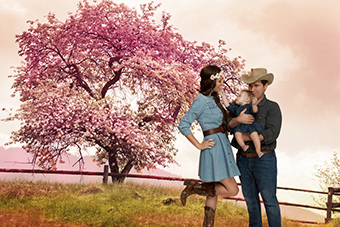 Ashley's country music video for her song "I’ll Stand By You" from her "Oh You Angel" album is released. View Now! 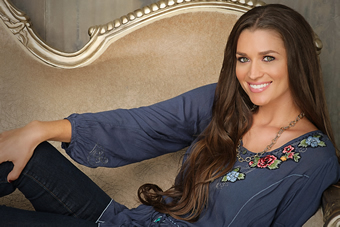 Ashley launches "Just Another Country Minute," her new web-series and country music video blog where she speaks about her music, other endeavors, as well as country industry news that is important to her. View Now! 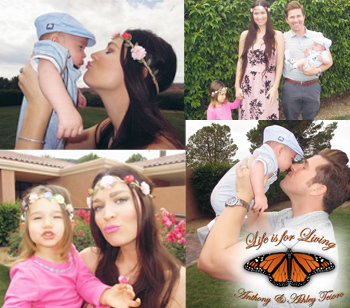 Ashley & Anthony launch "Life Is For Living TV" season 3! LIFL TV is a Christian lifestyle and ministry internet show that teaches individuals and families about the Bible with real life application, and gives people inspiration and direction for their lives.View Webisodes Now! 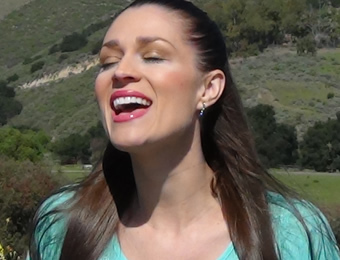 Ashley releases her latest music video "Blessed Assurance" from her latest album "Simply Worship. "View Now! 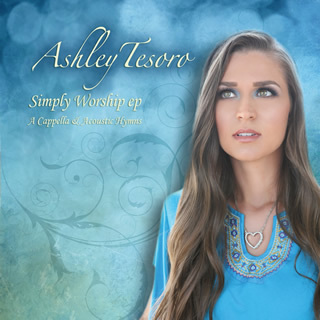 Ashley releases her latest music video “Come Just As You Are” from her latest album “Simply Worship.” View Now! Ashley & Anthony launch "Life Is For Living TV" season 2! LIFL TV is a Christian lifestyle and ministry internet show that teaches individuals and families about the Bible with real life application, and gives people inspiration and direction for their lives. View Webisodes Now! 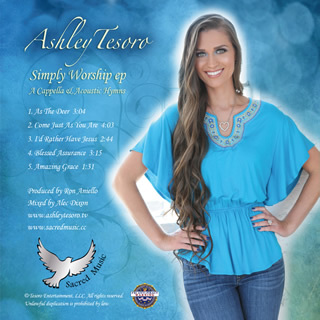 Ashley releases her latest EP, "Simply Worship." This EP is a beautiful collection of a cappella and acoustic hymns. These traditional Christian songs are sure to bring you closer to God and bring peace to your soul. This album is comprised of Ashley's favorite hymns including; "As The Deer," "Come Just As You Are," "I'd Rather Have Jesus," "Blessed Assurance," and "Amazing Grace." Hear Ashley’s latest songs! 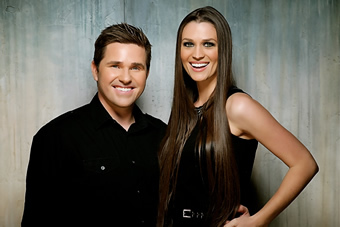 Ashley & Anthony launch “Life Is For Living TV” through their production company Tesoro Entertainment, LLC in association with Tesoro Ministry Foundation, Inc. LIFL TV is a Christian lifestyle and ministry internet show that Ashley and Anthony host and produce together. 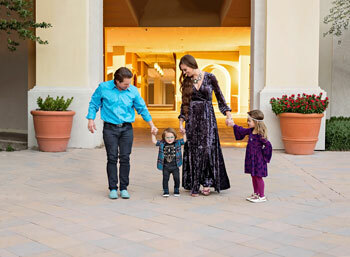 Through this show, they teach individuals and families about the Bible with real life application, and give people inspiration and direction for their lives. View Webisodes Now! 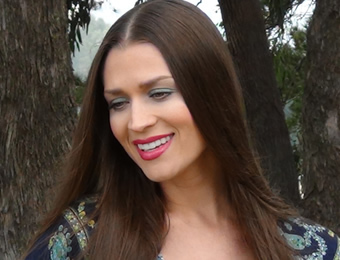 Ashley on location filming music videos for her latest album “Simply Worship.” This new album is comprised of her favorite hymns including “Amazing Grace,” “As The Deer,” and more! View Videos! View Photos of her on location filming! Ashley has a passion for photographing flowers and nature. 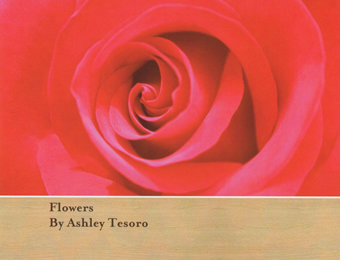 Her new book titled; Flowers By Ashley Tesoro, is a 5X7 twenty-one page coffee table book. It includes her favorite flowers that she has photographed over the years, as well as inspirational quotes and Scriptures. 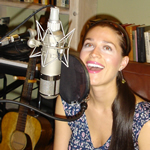 Ashley in the studio recording music for an upcoming album set for release in 2012. 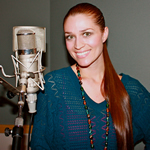 Ashley recording her 2010 Country-Gospel EP "Oh You Angel" set for release on November 25, 2010. Ashley makes her Country Music debut with her self titled EP! 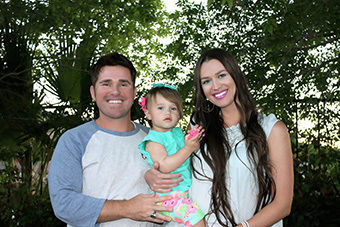 Ashley has always had a love for music; and got her start singing Gospel Hymns in the Church. 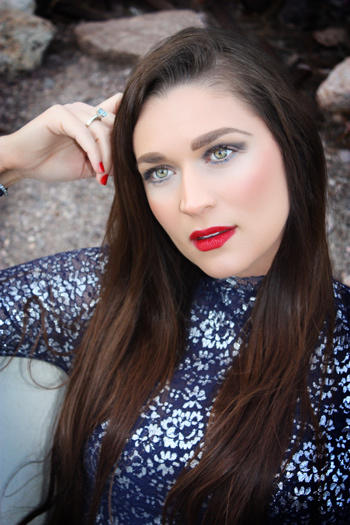 At the age of sixteen she began performing original songs as Kimberly on “The Bold and the Beautiful,” which also aired on Los Angeles radio station KIIS FM and CBS’s “Morning News Show.” Ashley has been hard at work in the recording studio. 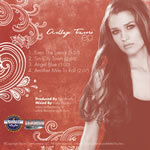 Her passion and love for Country Music is evident in this four song EP released Fall 2007!